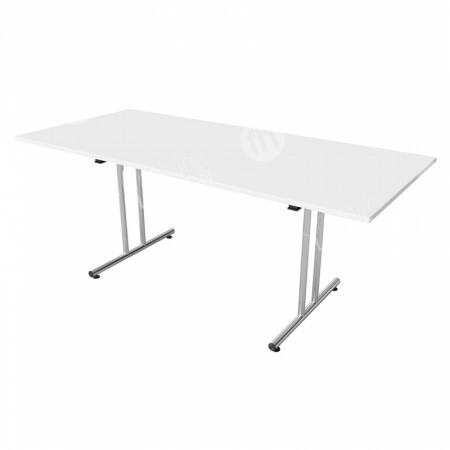 Our 1200mm white folding table is cool, contemporary and made from top quality materials. Robust, steady and a modern design make it a fantastic table for chic locations and events. There is something so appealing about our white furniture range, and thanks to our affordable rates you can now bring a bright, fresh look to all your venues. Our 1200mm white modular table really attracts the eye, and is versatile enough to be dressed up with accessories to add character and personality to rooms or used just as it is, for an ultra-modern vibe. What makes this product so popular? Many events, offices, galleries and schools call for tables, so we’ve made sure we have lots available in many different sizes, finishes and shapes, enabling you to choose the best one for your premises/events. White tables are a very popular product for our customers who are after a fresh feel to venues, thanks to the finish of these items. It makes sense that different materials bring about different tones to rooms, walnut is very classy and decadent, while light oak is stylish and modern too. White furniture is exceptionally contemporary and perfect for when you want to impress on clients how forward thinking and fresh your company and its goals are! As well as making this kind of visual impression on your colleagues, clients and delegates, our 1200mm white table is also really practical too. Because we’ve had all our modular tables especially made using melamine for the surfaces, they’re solid and manufactured to withstand staining - an especially great feature when it comes to our white range - you can use them with full confidence that spillages and marks are straightforward to remove. Yet another convenient element of our 1200mm white modular tables is that they built to fold in seconds. This is down to the product’s folding leg mechanism, which is very simple to activate. So, when you have lots of white tables to install, or you’re taking them quickly from storage for a last minute meeting, they’re be ready for use in next to no time! 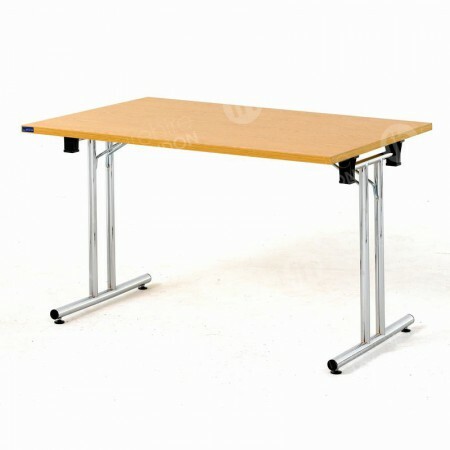 As well as our 1200mm size, we also have D-end and 1800mm white modular tables. It’s up to you whether you use these as standalone items - such as tables in classrooms, galleries, museums or at exhibitions - or combine them together to create large surfaces for meetings attended by bigger groups of people. Classrooms, conferences and meeting rooms aren’t the only kind of locations that suit our 1200mm tables, because we also have desks and mobile pedestals with the exact same contemporary finish you’re free to design entire workspaces - in the office or at home - using our fresh white range. If you’d like any advice about this, please contact our team for tips, or to speak to our in-house CAD expert. I need a bigger white table, can you help? Yes. 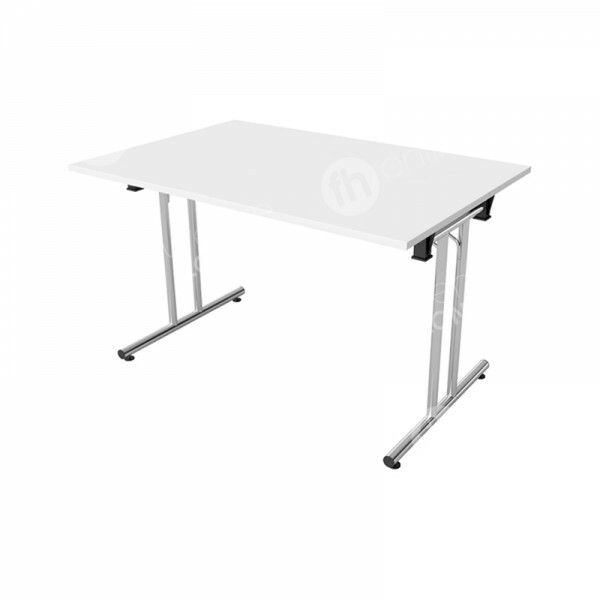 We also have a 1800mm white table available, and you can also combine this with our 1200mm and D-end model to create larger bespoke meeting tables. Can I hire white tables for a few months? That’s no problem at all. 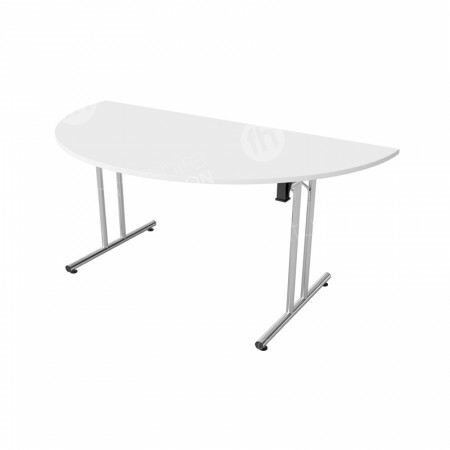 Like with any of our furniture hire range, you can rent items, including our 1200mm white table, for as many - or few - hours, days and months as you wish.